Now you will see the options for the External Field question type. 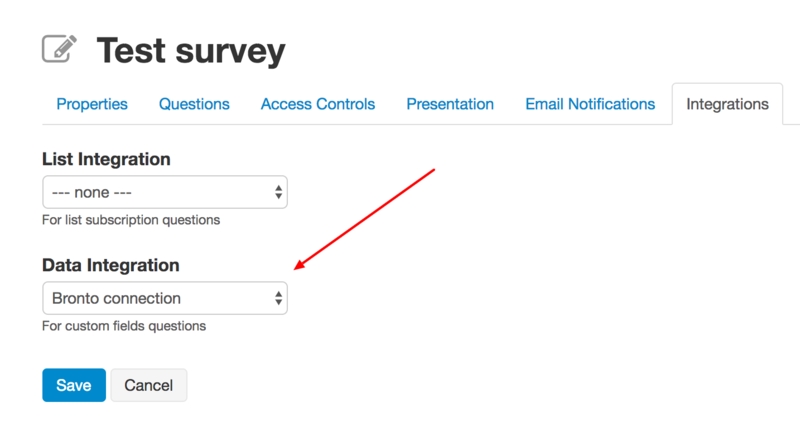 SurveyTown will automatically pull the custom fields from your email service provider (i.e. : Bronto) and give you the choice of which one you want to add to your survey. You will need to have an email address question or enabled the survey to only accept personalized URL (PURLs). We use either an email address or a personal identifier to map the data to the contact.